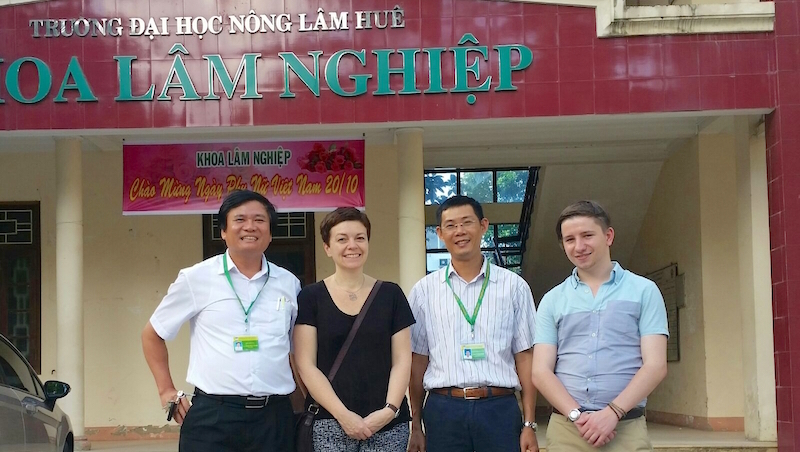 Above: Picture with caption, Sarah Thomas and Marc Pavey (CIDT) meet with staff from Hue University. CIDT has been visiting universities in Thailand, Vietnam, Malaysia and Indonesia to strengthen institutional partnerships and explore opportunities for future collaboration, focusing on forest governance. Meeting with the ‘EU FLEGT project Central Region’ support team. CIDT began developing links with universities in the region in 2013, facilitating a visit to the University of Wolverhampton by the Vice-Dean of the Faculty of Forestry from the National University in Laos. This led to the signing of a Memorandum of Understanding (MoU) in January 2014, which set out the aims of the partnership to work together to develop staff expertise, strengthen the mainstreaming of forest governance in higher education curricula, and to engage in joint training activities offering continuing professional development to key forestry stakeholders in the field. A regional workshop was developed through this partnership, aiming to raise awareness amongst education and training providers of the changing forestry policy landscape. This workshop also identified gaps in existing forestry training offerings, both pre- and in-service, in relation to forest governance and the EU Forest Law Enforcement, Governance and Trade (FLEGT) Action Plan. CIDT then conducted a 4-week training course, split into two two-week modules, for academics from universities across the region. The first module focussed on giving participants a thorough understanding of forest governance issues, whilst the second module aimed to develop the skills and strategies required to integrate forest governance into existing courses, or to develop new courses. 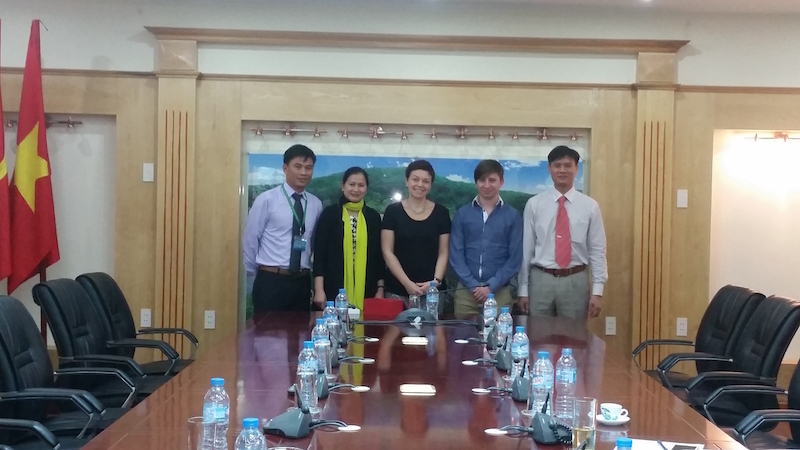 Meeting with the team at Vietnam Forest University. Through the alumni from this course, CIDT aimed to build stronger links with universities to identify outstanding challenges and to strengthen institutional capacity for forest governance curriculum development. 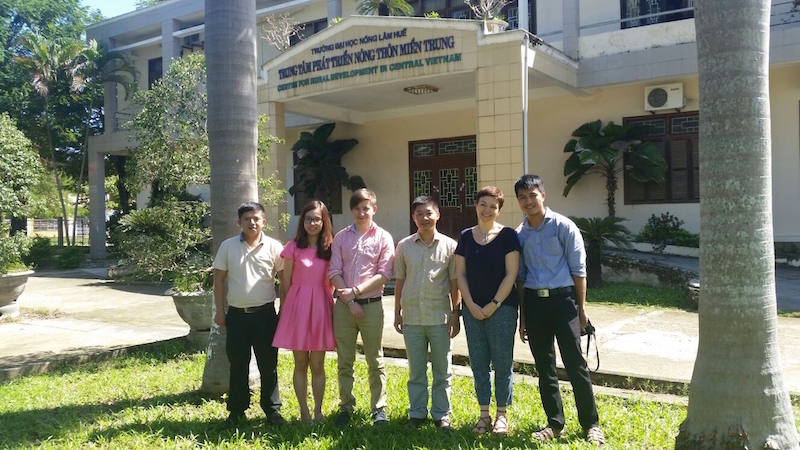 CIDT has so far met with Kasetsart University in Thailand, and Vietnam Forest University and Hue University in Vietnam. These meetings allowed CIDT to develop broader institutional relationships, whilst also drawing out the specific training needs within each institution. 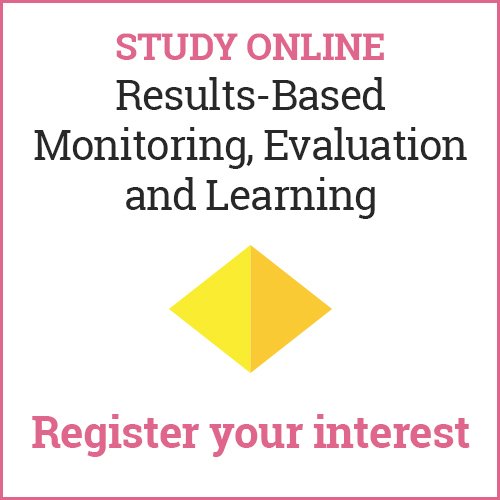 All institutions so far have expressed an interest in developing a formal MoU through which new project and training opportunities can be developed. In the coming weeks, CIDT will also be meeting with University Malaysia Sabah in Malaysia and Universitas Gadjah Mada in Indonesia.